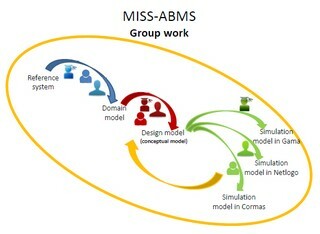 Twenty-five participants from four continents and fourteen different nationalities are expected from September 10 to 21 for the 2018 session of the summer school on multi-agent modeling for natural resource management, MISS-ABMS. Hosted by Agropolis International and co-organized by CIRAD and IRSTEA, with the contribution of other French universities and research organizations, this training, taking place every year in Montpellier, is a great success. Combining lessons and hands-on, group and individual work, the training allows participants to practice the principles of multi-agent modeling by applying them to their own project. It gives them the basics so that they can continue to develop their model independently.